Through research and testing, Jacklin® Seed is committed to continual product improvement. Our Jacklin Agronomic Consultation Services provide training, scientific analysis, planning and more. For additional information regarding any of Jacklin® Seed’s exceptional products, please choose one of the turfgrass varieties from the list on the left. 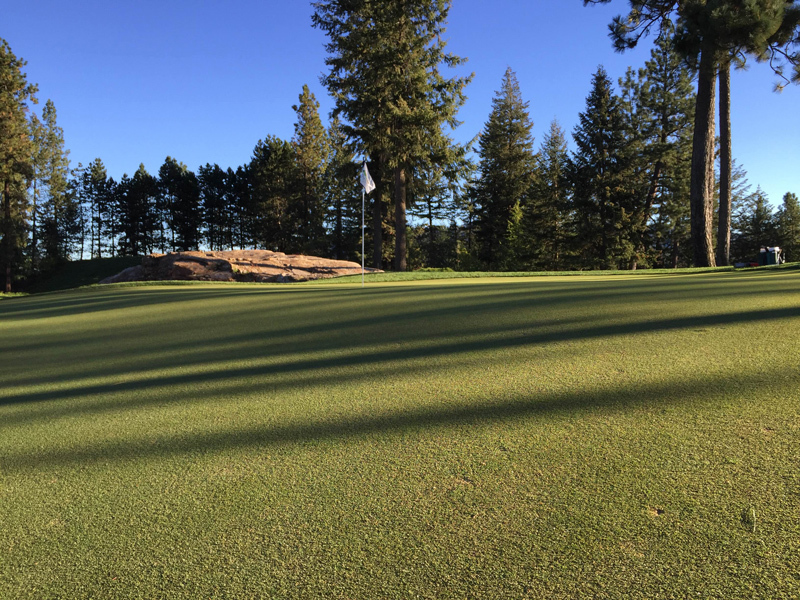 T-1 bentgrass on a green at the Coeur d'Alene Resort Golf Course in Northern Idaho.